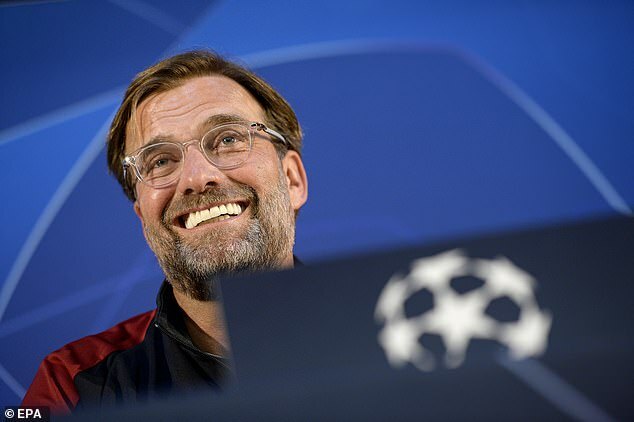 Liverpool arrived in Portugal late on Tuesday night to be greeted by a compliment from Porto manager Sergio Conceicao that was as unexpected as it was gushing. They were, as Jurgen Klopp and James Milner were quick to recognise, nice words but while Liverpool’s manager raised an eyebrow about the legitimacy of the sentiment — an attempt, perhaps, to lure them into a false sense of security — his vice- captain went about pulling the claim apart. 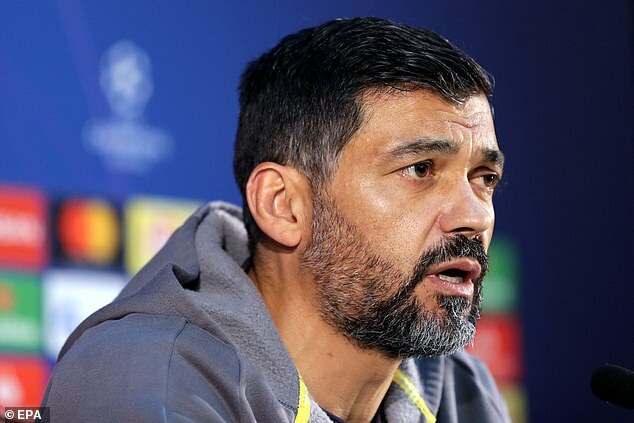 Though Liverpool’s form is blistering and they are odds-on to reach the Champions League semi-finals, having beaten Porto 2-0 in their first meeting at Anfield last Tuesday, one major facet must change for Conceicao’s words to have real substance. Milner was only too eager to point this out. ‘You get those compliments by playing good football over a sustained period of time,’ said Milner, whose calming presence will be crucial in the Estadio do Dragao. ‘But to be that, I think you have to win trophies. That’s something we haven’t done yet and it’s something we are trying to do. Not getting over the line is disappointing, but we have the opportunity to change that. That first one is always the hardest. Milner emphasised that Liverpool have reached three finals since he has been at Anfield and there can be no doubting they are progressing, as a sequence of seven consecutive wins since March 3 shows, but they need to be remembered for more than just the quality of their football. 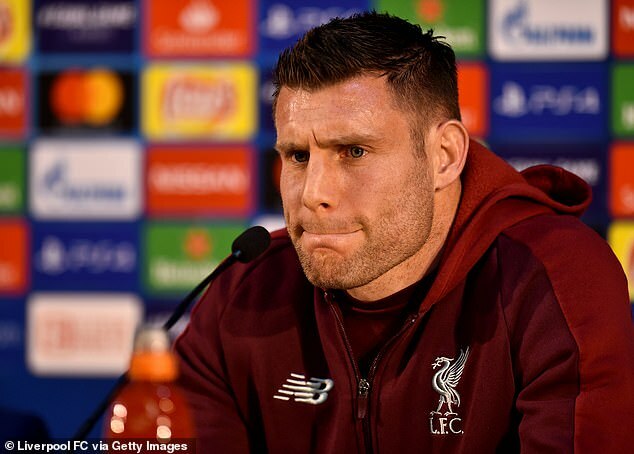 Those questions could be answered emphatically before the end of the campaign and the odds on them completing the double of Premier League and Champions League are contracting with each positive result but Milner is not getting carried away. First things first, they have to hold off Porto. Liverpool won by five unanswered goals at this venue last February but they will need to be equally proficient if they are to reach the last four once again. Milner is a good gauge to the mood in the squad and, certainly, he is not distracted. ‘There isn’t too much talk about what’s going on and what might happen,’ said Milner. ‘It’s how we’ve been all season. We are training the same way, the mentality going into the games is the same, that’s what we can concentrate on, one game at a time and keep pushing. The second leg should feature a fascinating battle between Porto’s fast-raiding and tough Brazilian left back Alex Telles and Mo Salah, fresh from his stunning goal against Chelsea on Sunday. Yet one major thing in Liverpool’s favour is the fact that they have been so resilient defensively. They had little trouble keeping Bayern Munich at bay last month in Germany and the last time they let a two-goal lead slip to lose a match was at Bournemouth in December 2016. That, however, has not stopped Klopp reinforcing the message that nothing has been decided. ‘I always tell the boys the truth when I analyse,’ said Klopp. ‘I don’t make things bigger or smaller than they are.